Yesterday on CACIB Show in Kielce, Pl Gracy ended her show season in a beautiful way! We've spent very nice day with good old and new friends. 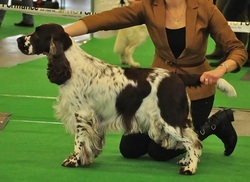 Lordsett GRACE KELLY (champion class) - exc, CAC, CACIB,BOS! 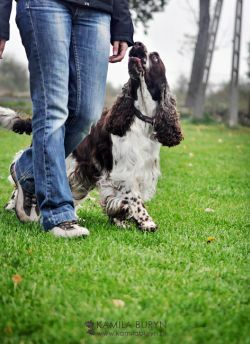 Lately we decided to take some break from shows with Gracy and we started to practice some more on our obedience trainings. The date of our "PT" exam was sett so we were practicing and practicing and... we did it! We gained 183/200 points, "very good" mark and 3rd prize. I am realy proud of her! More pics in her gallery. 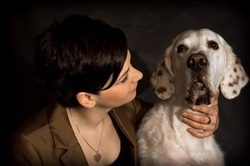 Last weekend I've spent with Gracy on 3 shows in Uzghorod, Ukraine. Gracy was a little bit tired after travelling whole night but she did her best. 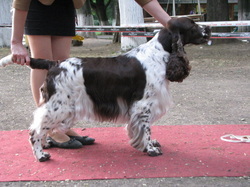 Gracy gained new title - Ukraine Champion and also she did gain all the titles to become International Show Champion! I am very very proud of my little Star! My Treasure is celebrating his 10th birthday!!! All the best my baby! Yesterday I've spent realy nice day on national show in Jarosław. Gracy shown her best and she did have great time in the ring. Lordsett GRACE KELLY (champion class) - exc, CAC, BOB, BOG III.